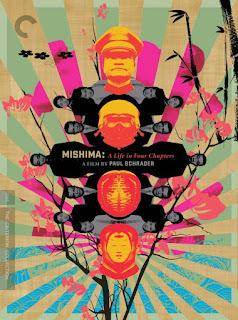 PennsylvAsia: Mishima: A Life in Four Chapters at Carnegie Library Oakland, April 7. Mishima: A Life in Four Chapters at Carnegie Library Oakland, April 7. A look at acclaimed Japanese author and playwright Yukio Mishima, the impossible harmony he created between self, art, and society, and his famously committed public seppuku (ritual suicide). The movie runs from 2:00 to 4:00. Wikipedia and IMDB have more, and Roger Ebert gave it four stars.